Elvis had much to be thankful for during his lifetime. 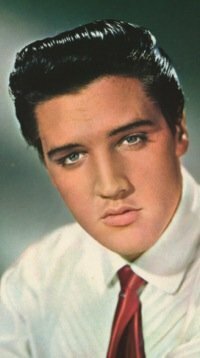 Certainly his loyal fans would have been on his list, and Elvis acknowledged his gratitude to them often during his career. His fans propelled him to fame in the 1950s. Buying his records and attending his concerts in vast numbers, they made him the most popular entertainer in the world. When he went away for two years in the army, he wondered if his fans would still be there when he returned. He needn’t have worried. His fans waited patiently during his absence and eagerly welcomed him home. They continued to buy his records and see his movies, even when the quality of both diminished during the mid-sixties. And when he finally went back on the road, a new generation of Elvis fans joined the old one to fill auditoriums wherever he appeared. As much as Elvis had to be thankful for, a look through Peter Guralnick and Ernst Jorgensen’s book, “Elvis Day By Day,” indicates that Elvis did not celebrate Thanksgiving Day on a regular basis during his 23-year show business career. While Elvis nearly always spent Christmas Day at home in Memphis, he more often than not spent Thanksgiving away from Graceland during those years. In fact, Thanksgiving Day often found Elvis at work. In 1954 he appeared on Thanksgiving at the Paladium Club in Houston. A year later he worked the holiday at Woodrow Wilson High School in Port Arthur, Texas. 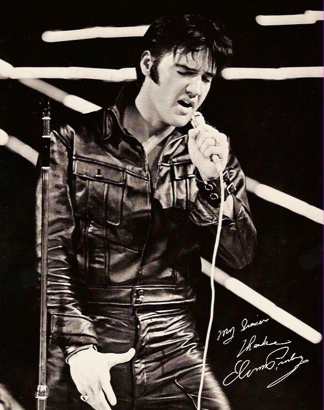 In 1956 he was again on the road on turkey day, appearing at the Sports Arena in Toledo, Ohio. At times during the 1960s, Elvis was working in Hollywood at Thanksgiving time. On November 24, 1960, he was shooting Wild in the Country at the 20th Century-Fox Ranch north of Santa Monica. The next year he was working on Kid Galahad in November. He spent the holiday driving back to Memphis in 1964, having just finished work on Tickle Me. Location shooting on Stay Away, Joe ended the day before Thanksgiving in 1967, and he was in the middle of filming Little a Little, Love a Little during the November holiday period in 1968. Even when Elvis wasn’t on the set, Thanksgiving was an important day for his films. Six of his movies were released nationwide the day before Thanksgiving to take advantage of the four-day high school break. They were Love Me Tender (1956), G.I. Blues (1960), Blue Hawaii (1961), Girls! Girls! Girls! (1962), Fun in Acapulco (1963), and Harum Scarum (1965). After Elvis returned to the Vegas stage and national touring in the seventies, he seldom worked on Thanksgiving. The only exceptions were the last two November holidays of his life. On November 27, 1975, he flew to Las Vegas on the Lisa Marie to start a new engagement there, and on November 25, 1976, he performed on stage at the University of Oregon in Eugene. Along the way there were some interesting Thanksgiving Days in Elvis’s life, as noted by Guralnick and Jorgensen. 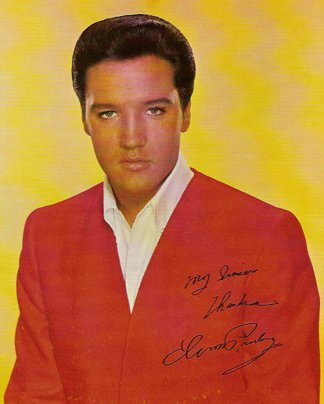 In 1957 Elvis spent the holiday evening watching Pat Boone’s new movie, April Love, at Loew’s Palace in Memphis. The following year the holiday found Elvis in Germany. The army promoted him to private first class that day, and he had Thanksgiving dinner with the family of girlfriend Elisabeth Stefaniak. Thanksgiving 1967 was his first as a married man, and 1968 was his first as a father. In 1972 Elvis, already legally separated from Priscilla, spent the holiday in Hawaii with girlfriend Linda Thompson. Three days earlier Elvis had held a press conference to announce his satellite concert to be broadcast from Hawaii the following January. "While Elvis nearly always spent Christmas Day at home in Memphis, he more often than not spent Thanksgiving away from Graceland."